Up until now, any tools that didn’t break Instagram’s Terms of Service allowed you to schedule posts in advance, but couldn’t actually publish them. They sent a push notification to your phone, so you completed the post manually. 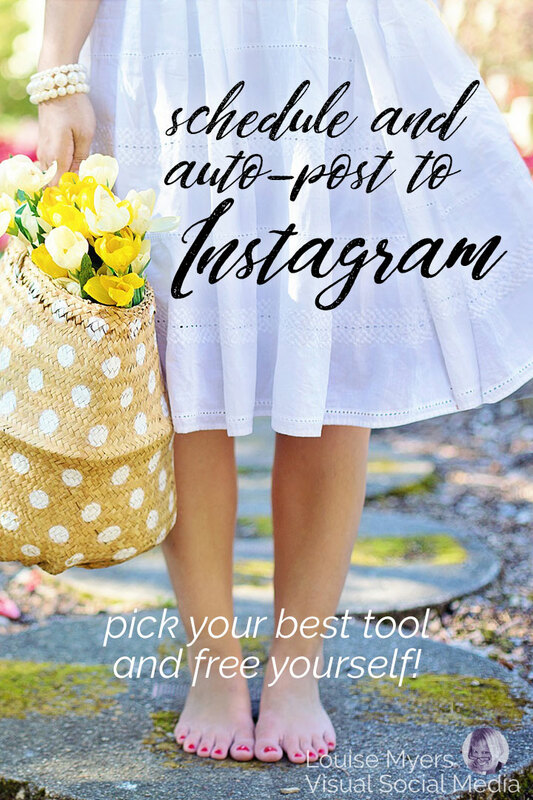 Auto-posting with a non-approved service was never, and is still not, okay with Instagram, and could get your account closed. Beware! Now that Instagram will be phasing out their old API, I suspect even more of a crackdown on unapproved apps and services. Look for an approved partner. My favorite is Tailwind App! Automated posting has just been released on Tailwind. There are a few Instagram Partners which will offer auto-publishing to Instagram. Why choose Tailwind? Tailwind knows visual marketing! They’re experts in Instagram and Pinterest. 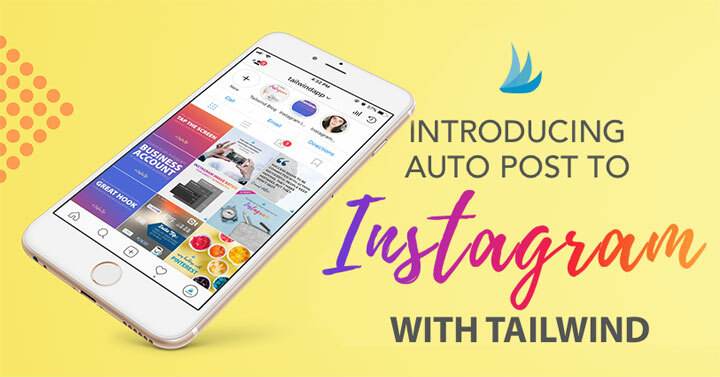 Tailwind is your best buy if you need a paid posting tool for Instagram only. Tailwind analytics rock – no upcharges to access valuable stats on your IG performance. Tailwind Smart Schedule posts when your audience is most engaged. Hashtag Finder! 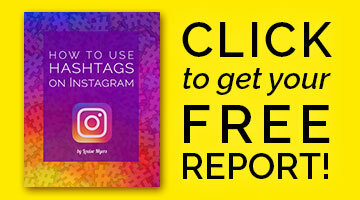 Save time and increase engagement with a perfect collection of hashtags. Finally, Tailwind is a small business of dedicated, hardworking folks like you and me. I love to support small business, don’t you? Try Tailwind with the Smart Schedule and Hashtag Finder – schedule 30 posts for FREE! I’m an affiliate for Tailwind and will receive a referral fee if you purchase a paid plan. I’ve listed all the approved schedulers I could find, in order of pricing. If you’re interested in a particular tool, contact the company to ensure the availability of direct posting to Instagram. Most partners are currently working on implementing it, but I don’t know all that offer it yet. *Asterisked ones are confirmed available. These tools offer various features included their pricing. Contact companies directly for more details. Multi-user and upgraded features are available at higher cost. Iconosquare: $9 per month or $81 paid a year in advance for 1 account. 100K follower limit, email support only. *Auto-posting enabled. Planoly: $9 per month or $84 paid a year in advance for 1 account. No word on auto posting. Tailwind: $15 per month or $120 paid a year in advance for 1 account. Includes Smart Schedule and the amazing Hashtag Finder. *Auto-posting enabled. HootSuite: Monthly payments not available. $228 paid a year in advance. Add up to 10 social profiles. 1 user. *Auto-posting enabled. More options below, from $24 to $99 per month. Oracle Social: $24 per month or $288 paid a year in advance. Add up to 4 social profiles. 1 user. AgoraPulse: $49 per month or $468 paid a year in advance. Add up to 3 social profiles. 1 user. Sprout Social: $99 per month per user. Add up to 10 social profiles. SocialFlow: No prices revealed. Rumored to start at $99 per month for 2 social profiles. My first choice is always Tailwind, because it’s a small business with real people – who really care. I personally use Tailwind for Pinterest, and Missinglettr to automate my other social media marketing. I can’t wait to try the Instagram auto-posting feature on Tailwind ASAP. HootSuite is great tool used by millions, but as you might imagine, the service is pretty impersonal. I was a paid user for a couple years though, and it works well. I switched to MissingLettr because it’s the perfect hands-off tool for bloggers. We all need more time! HootSuite costs more than Tailwind if you only use it for Instagram. However, if you post frequently to the other platforms, it could be best for you. 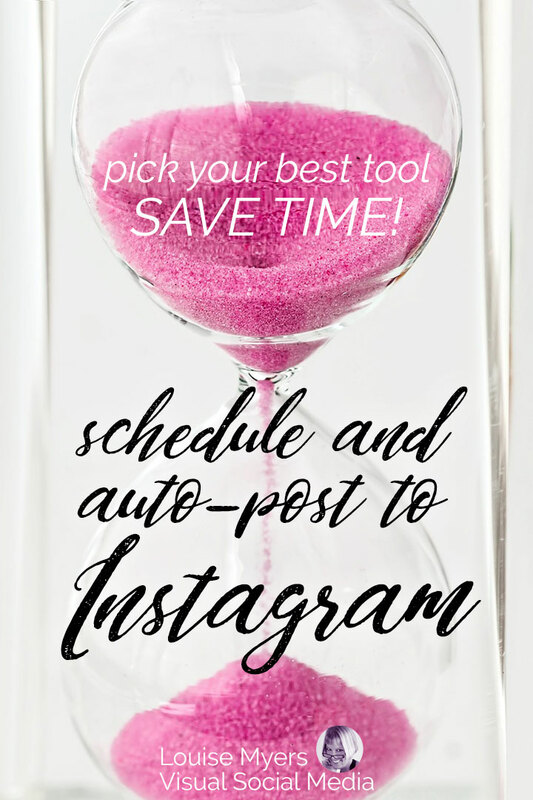 You won’t have Tailwind’s proprietary SmartSchedule and Hashtag Finder, so you’ll have to spend some valuable time figuring the best time to post, and the best hashtags to use. Hootsuite was one of the first partners to implement the API. Other social media software applications that are official partners include SocialFlow. The change is part of a revamp of Instagram’s API platform which will deprecate the older Instagram API Platform over the next two years. Analyze metrics and insights about the business’s performance on Instagram. Access the business’s mentions and add responses to those. Adding location data and shopping tags. Instagram says that support for non-business profiles is in the works for an early 2019 release. For now, non-business profiles are limited to using a scheduling tool that sends push notifications, or setting up Drafts right inside the IG app itself. I haven’t heard anything to suggest that Instagram will include a scheduling feature inside the app. You can schedule posts for free on Facebook, though. Maybe this will come to IG eventually. I know we all love free options! What do you think of this new feature? Have you tried it yet? If you’d like to give it a whirl, I recommend you try Tailwind to post to Instagram directly. I have not tried tailwind, yet. I recently started posting more on my instagram profile. Not a big fan of it but I know it has the potential for free traffic. Using such automation tools definitely help save time and work. 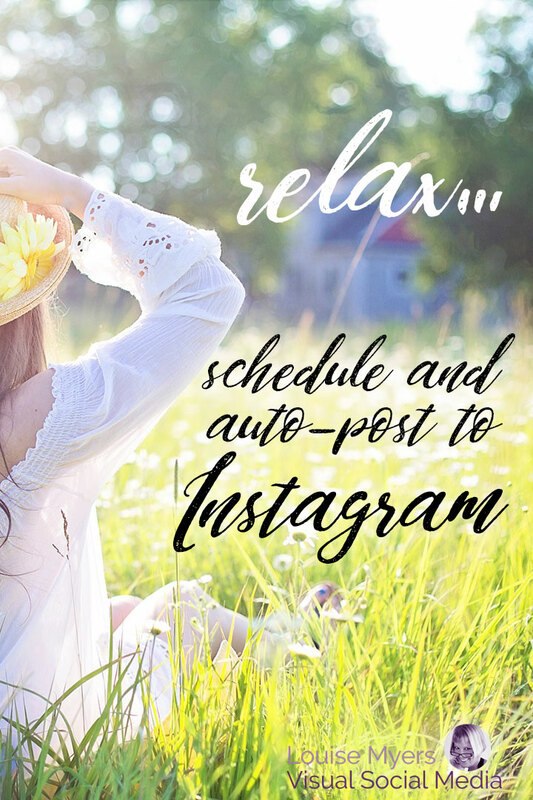 If you’re looking for blog traffic, IG will be labor intensive for little traffic. It’s more of a place to connect and engage with your audience. Hey Lisa, thanks for stopping by! That’s good to know, I’m not too familiar with Agora Pulse. Please let us know if / when you add auto posting. I was using Hootsuite’s auto-posting feature and noticed that I got less engagement on those posts. I’ve gone back to the old way of scheduling posts and my engagement has increased. While I like the convenience of auto-posting it hasn’t been worth it for me. Wondering if anyone has seen the same thing happen when using Tailwind’s feature. I haven’t used TW auto-post yet, but did see this with HootSuite. It doesn’t surprise me. Typical FB thing. 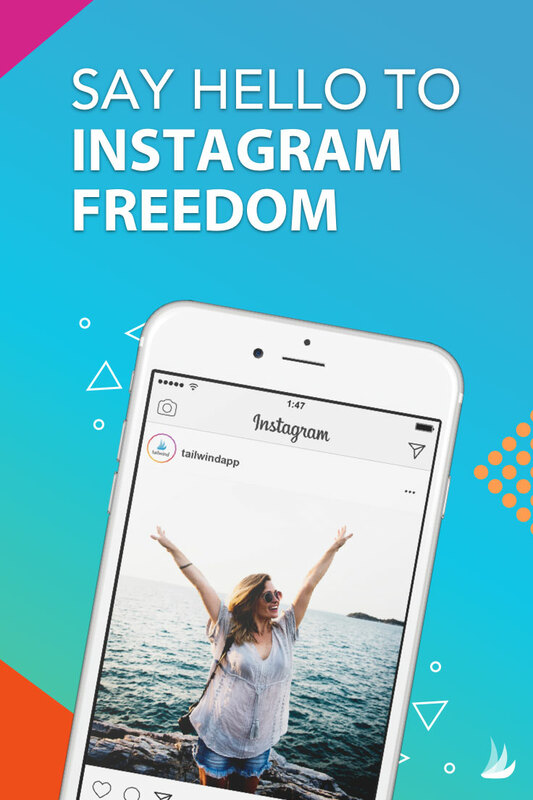 Onlypult has been offering Instagram autoposting for at least 2 years. Right, but it’s not approved and can get your account shut down. And I did write about it at least 2 years ago. But I don’t recommend taking the risk. great article! As far as I know, Instagram still testing their new scheduling API and for now it is only open to their biggest partners which to be fair I do not believe is Tailwind. For now, only Hootsuite and Buffer are confirmed. Sorry, that’s not correct. Tailwind is 100% confirmed and has had it available for months. I also don’t allow promotion in comments so it’s been edited. + The full version is $6/ month! If and when they become approved as an Instagram partner I’ll check them out. I can’t recommend apps that might put my readers accounts at risk.